Recognized favorably amongst their patients, University Urgent Care has an average rating of 4.8 stars out of 5 based on 1535 total ratings. The base price for an office visit at University Urgent Care is $100 with additional services being an extra charge. Patients typically pay between $30 - $100 for common services. 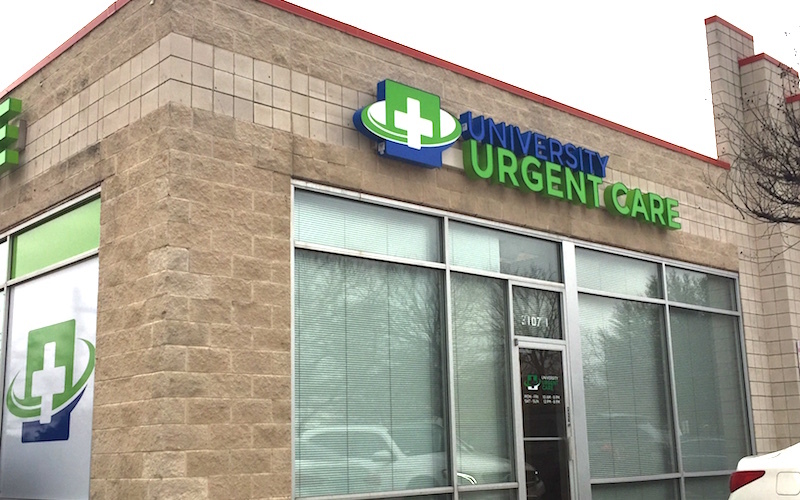 University Urgent Care accepts many major insurance plans and multiple forms of payment, making it easier to get the affordable care you need. It is always a good idea to contact your insurance company before your visit to ensure the Clinicis in network for the service(s) you're seeking. I was visiting my daughter when I became sick. I was able to walk right in on a Monday morning and immediately was taken care of by a kind and caring staff. I was quickly diagnosed and treated. A clean facility and a caring staff. A blessing to have such excellent treatment being so far from home. Excellent. No wait time at all, quick diagnoses and very professional. Thank you! Dr. Ruth and Paramedic Steve took the BEST care of me! I highly recommend this staff and facility. In and out in a very reasonable time. Competent staff. A pleasure. Didn’t have to wait long to get in! Everyone was nice! Excellent, outside of the impressively long wait time, which I imagine is difficult to control. I felt terrible. I was a walk in and the wait was not long at all. Friendly staff. Very efficient. I will be back if I need medical attention in the future. Everyone from the reception to Nurse Practitioner Ruth Ellen was great. They were all very friendly, nice, and very helpful. I would highly recommend University Urgent Care to anyone. Thanks for a great experience.